teoria da metáfora conceitual de George Lakoff and Mark Johnson é uma poderosa ferramenta metodológica que tem sido usada em diversos campos acadêmicos para investigar uma série de questões relativas à cognição humana. 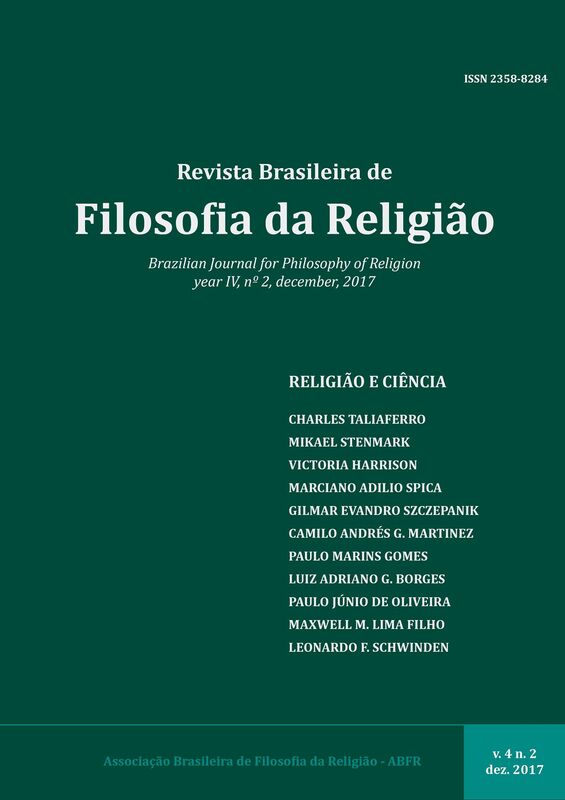 A teoria da metáfora conceitual sugere que tanto nosso sentido pré-teorico sobre o que é conhecer algo quanto nossas práticas de aquisição de conhecimento serão formados por metáforas conceituais, quaisquer que sejam elas, que operam nos nossos processos cognitivos, e estas podem diferir entre as culturas. Eu proponho que olhar para as ciências naturais como extensões de um sentido específico pré-teórico do que é o conhecer, aquele que mapeia cognitivamente o conhecimento sobre a experiência do ver, contribui para uma explicação de porque a ciência moderna emergiu no Ocidente e não na China. ALLAN, Sarah, The Way of Water and Sprouts of Virtue (Albany: State University of New York Press, 1997). FAUCCONNIER, Gilles, Mappings in Thought and Language (Cambridge: Cambridge University Press, 2003). GIBBS, Raymond, ‘Why O Some People Dislike Conceptual Metaphor Theory?’, Cognitive Semiotics 5/1 (2009): 14-36. HADOT, Pierre, Philosophy as a Way of Life: Spiritual Exercises from Socrates to Foucault, edited with an introduction by Arnold I. Davidson, translated by Michael Chase (Oxford: Blackwell, 1995). HARRISON, Victoria S., ‘Conceptual Metaphors and the Goals of Philosophy’, in Hans-Georg Moeller and Andrew Whitehead (eds. ), Wisdom and Philosophy (London: Bloomsbury, 2016): 205-222. ____________________ ‘Seeing the Dao: Conceptual Metaphors and the Philosophy of Religion’, Religious Studies: An International Journal for the Philosophy of Religion 51 (2015): 307-322. _____________________ ‘Metaphor, Religious Language and Religious Experience’, Sophia: International Journal for Philosophy of Religion 46 (2007): 127-145. IVANHOE, Philip J., Readings from the Lu-Wang School of Neo-Confucianism (Indianapolis: Hackett, 2009). JOHNSON, Mark (ed. ), Philosophical Perspectives on Metaphor (Minneapolis: University of Minnesota Press, 1981). LAKOFF, George and JOHNSON, Mark, Metaphors We Live By (Chicago: University of Chicago Press, 1980). _____________________________, Philosophy in the Flesh: The Embodied Mind and Its Challenge to Western Thought (New York: Basic Books, 1999). LIU, JeeLoo, Neo-Confucianism: Metaphysics, Mind, and Morality (Malden: Wiley Blackwell, 2018). MCFAGUE, Sallie, Metaphorical Theology: Models of God in Religious Language (Philadelphia: Fortress Press, 1982). NEEDHAM, Joseph, The Science and Civilisation of China (Cambridge: Cambridge University Press, 1956). PALEY, William, Natural Theology: or Evidence of the Existence and Attributes of the Deity, collected from the appearances of nature, edited by Matthew D. Eddy and David Knight (Oxford: Oxford University Press, 2008). PAYNE, Alina (ed. ), Vision and Its Instruments: Art, Science, and Technology in Early Modern Europe (State College: Pennsylvania University Press, 2015). SCHIPPER, Kristofer, The Taoist Body (Berkeley, Los Angeles, London: University of California Press, 1993). SLINGERLAND, Edward, Effortless Action: Wu-Wei as Conceptual Metaphor and Spiritual Ideal in Early China (Oxford: Oxford University Press, 2003). _____________________, ‘Conceptions of the Self in the Zhuangzi: Conceptual Metaphor Analysis and Comparative Thought’, Philosophy East and West 54/3 (2004a): 322-342. _____________________, ‘Conceptual Metaphor Theory as a Methodology for Comparative Religion’, Journal of the American Academy of Religion 72 (2004b): 1–31. _____________________, ‘Conceptual Blending, Somatic Marking, and Normativity: A Case Example from Ancient Chinese’, Cognitive Linguistics 16/3 (2005): 557-584. _____________________, ‘Metaphor and Meaning in Early China’, Dao: A Journal of Comparative Philosophy 10/1 (2011): 1–30. _____________________, ‘Metaphor, Blending, and Cultural Variation: A Reply to Camus’, Dao: A Journal of Comparative Philosophy 16 (2017): 431-435. SOSKICE, Janet Martin, Metaphor and Religious Language (Oxford: Clarendon Press, 1985). TALIAFERRO, Charles, Evidence and Faith: Philosophy and Religion since the Seventeenth Century (Cambridge: Cambridge University Press, 2005). VAN NORDEN, Bryan W. (edited and translated), Mengzi: With Selections from Traditional Commentaries (Indianapolis and Cambridge: Hackett Publishing Company, 2008). YEARLEY, Lee H., Mencius and Aquinas: Theories of Virtue and Conceptions of Courage (Albany, NY: SUNY Press, 1990).